It's a sign of the NBA's continued good fortune, even in the wake of a potentially debilitating lockout, that the anticipation for the cover athlete for a video game in the NBA 2K series is as anticipated as it is. 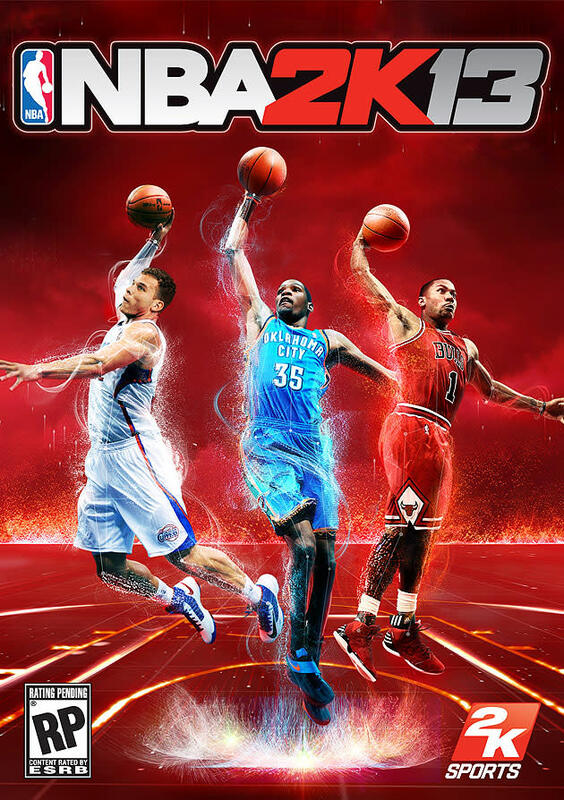 And though we don't normally do this here at BDL, we've learned enough about your continued interest in this game over the years to happily announce that young All-Stars Kevin Durant, Blake Griffin and Derrick Rose will grace the cover of NBA 2K13, as announced on Tuesday. "Being crowned as one of the NBA 2K13 cover athletes is a great way to cap off what has been an amazing season," said Durant, who won his third straight scoring title and led the Thunder franchise to their first NBA Finals appearance since 1996. "It's humbling to grace the cover after the likes of Michael Jordan, Magic Johnson and Larry Bird." "There's so much young talent around the NBA, so it's very exciting to be chosen for NBA 2K's 'New Dynasty' alongside Kevin and Derrick," added Griffin, who helped lead the Clippers to their first postseason since 2006. "The NBA 2K series has always been my first choice when I want to get a game in." "It's a dream come true to be one of the cover athletes for NBA 2K13," commented Rose, the 2010-11 NBA Most Valuable Player, who led the Bulls to a league-best 50-16 record this season. "I've worked closely with 2K Sports since NBA 2K10, and I'm honored to follow in the footsteps of Michael Jordan as the latest Chicago Bull to be featured on the cover." This leaves not only the video game but the league itself in good hands, as it steadies itself from a lockout that could have claimed the entire season. The presence of these youngsters leaves the league in an entirely different place than it was following the last lockout, one that had NBA junkies like me playing an NBA Live '99 game that featured Antoine Walker (yawn) on the cover, in a year where he would go on to shoot quite a bit for a Boston Celtics team that didn't even make the playoffs. In fact, I still recall playing that game on the day Michael Jordan retired; a day in which (as if on loop) NBA commissioner David Stern endlessly pointed out the names of Ray Allen (double yawn) and Vin Baker (triple yawn) as names for NBA fans to get behind in the wake of MJ's retirement. And this isn't to dispute the choice of cover athletes for this year's game when we point out that as brilliant as Durant, Griffin and Rose are, they might not even be at the best at their particular positions right now, with another series of mid-20-somethings (LeBron James, Kevin Love, Russell Westbrook) possibly winning that particular coin flip. Such is the depth of a league that would probably be pretty fun to play with in a video game. So what do you think? Agree with the choices, or should Nikola Pekovic have been included somehow?